DIY Christmas Nail Art - 50 Christmas Nail Designs You Can Do Yourself! DIY Christmas Nail Art – 50 Christmas Nail Designs You Can Do Yourself! Having a nail stylist is obviously the way to go but sometimes we don’t have the time or the budget to always go to a nail salon every time we want to be festive. Especially during Christmas Season because we often max out our budgets buying gifts for our friends and families. 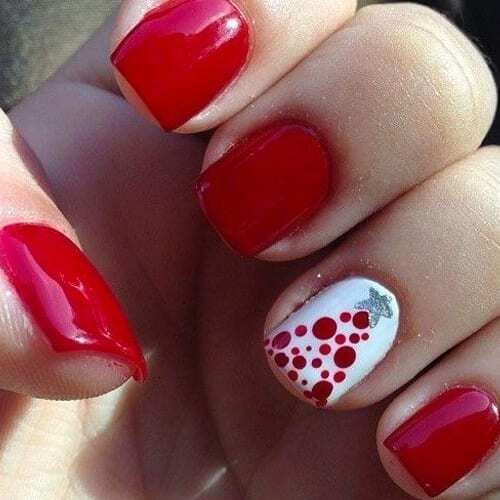 This is why we wanted to provide you ladies with nail inspiration for the Christmas Holiday and give you creative ideas on totally DIY Christmas Nail Designs! All of these designs below are totally doable at the comfort of your own home with a little bit of patience and polish. Ready to create Do It Yourself Christmas Nails this year? You got it! You rock!